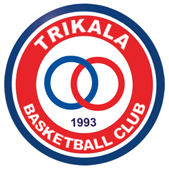 Trikala sign Oleksandr Lypovyy. The 25 years old Ukrainian guard is currently playing with the national team of Ukraine for the Eurobasket 2017 qualification phase. Lypovyy started his career in Ukraine with BC Kyiv and has also played for BC Donetsk and Budivelnyk. Lypovyy has played in Serbia for Crvena Zvezda, in Georgia for VITA Tbilisi, and in Hungary for Szolnoki Olaj. In the previous season Lypovyy played in Ukraine for Dynamo Kyiv, averaging 14.9 points, 4.3 assists, and 1.5 steals per game.